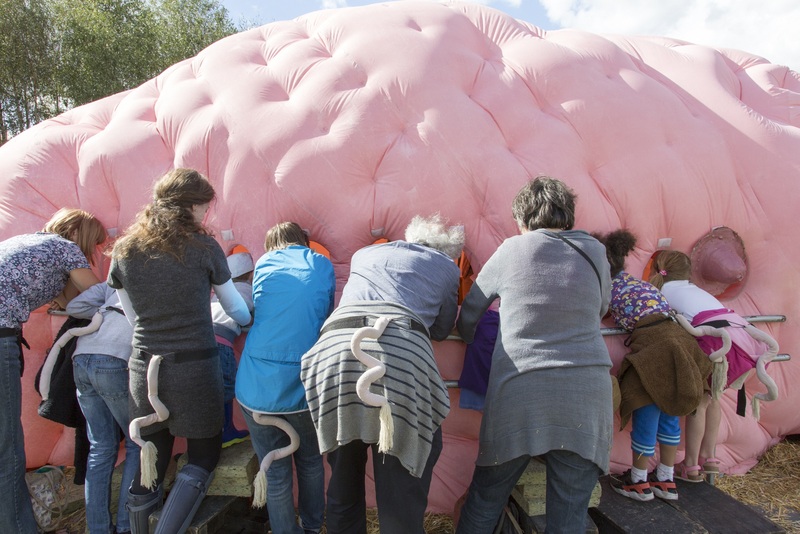 Investing in Volunteers Assessment – thank you! On behalf of all Our Parklife team, we’d like to tell you a massive thank you to all our volunteers’ support and thank those that were interviewed by the Investing in Volunteers assessor. During this two day assessment, thirty three volunteers were interviewed. Our assessor was really impressed by all our volunteers, their commitment and the sense of pride and ownership they have for the Park and the programme. We are therefore being recommended to the UK Panel and look forward to hearing the final outcome in May. Fingers Crossed! 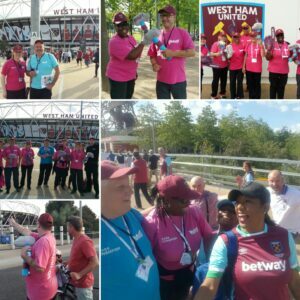 The West Ham Host Park Champion role was incredibly successful with over 7,700 supporters assisted over the first games of the season. 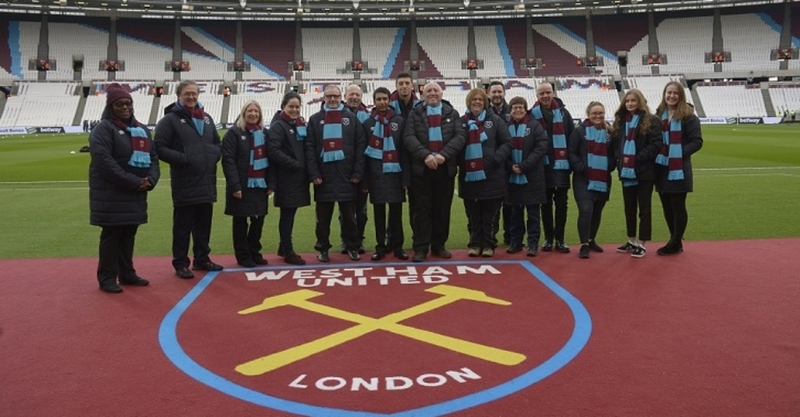 West Ham have now decided to take the team in house and have evolved it into a paid role. 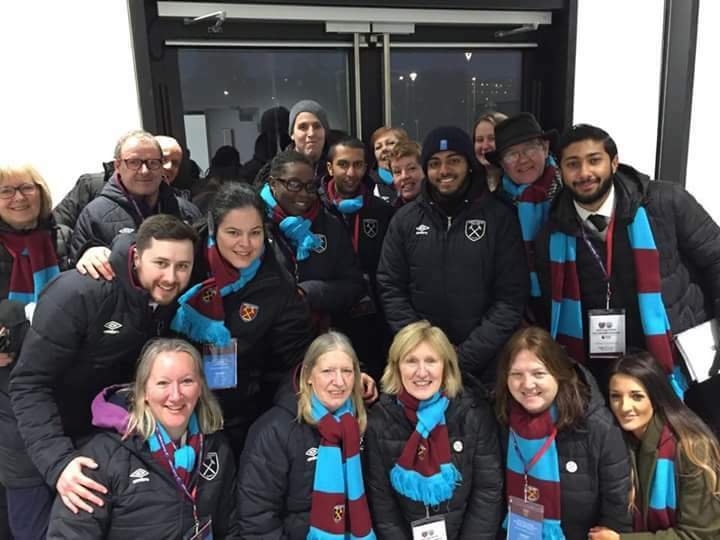 Supporter Liaison Officers (SLOs) will now be present at every game and assist supporters with any issues they may have to ensure all visitors enjoy their visit. Our Park Champions will be at the forefront of the SLO role, with many benefiting from this opportunity to transition into a paid role. 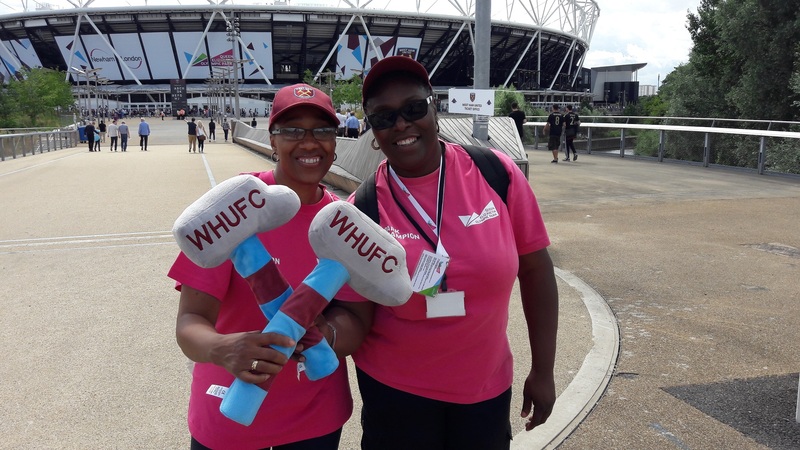 The Our Parklife team and the Park Champions have helped in this role transition with over 15 Volunteers having gone into the casual role of Supporter Liaison Officers. 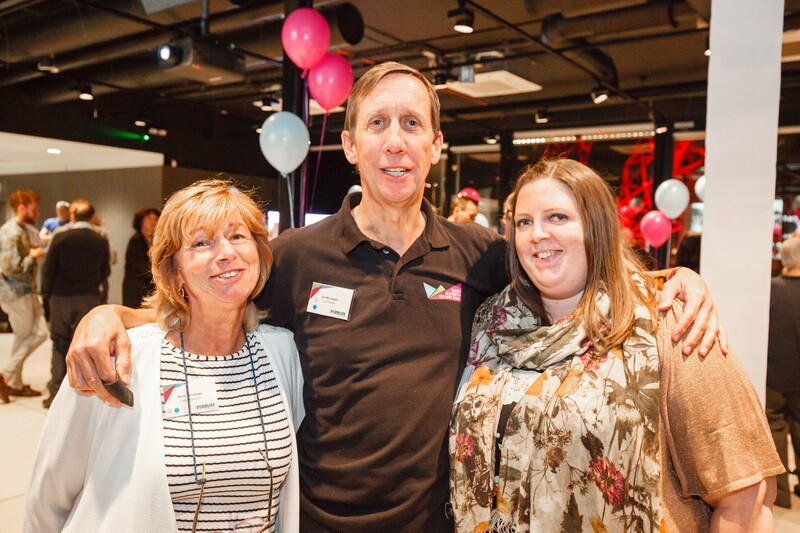 Disabled Access Day – Coming soon! 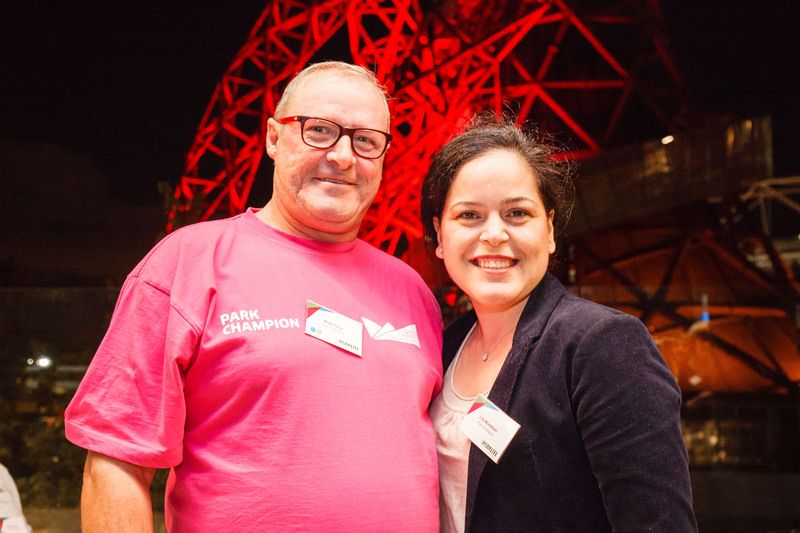 In March 2016, for the first time, Our Parklife and the Park Champions led on the delivery of a range of activities as part of Disabled Access Day, a national campaign to raise awareness of access issues faced by people with disabilities. Following on from this really successful event, we will again be taking part in the national campaign this year from 10th-12th March. Watch the Harvest Stomp 2016 film now! 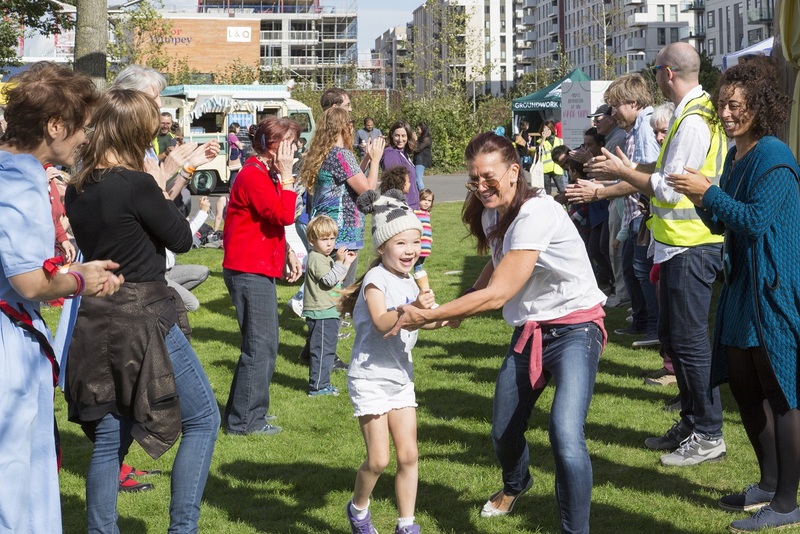 On Sunday 25th September, 3000 Londoners came down to Queen Elizabeth Olympic Park to celebrate local food growing and produce at The Harvest Stomp 2016, for the second year running. View our short film about the day. 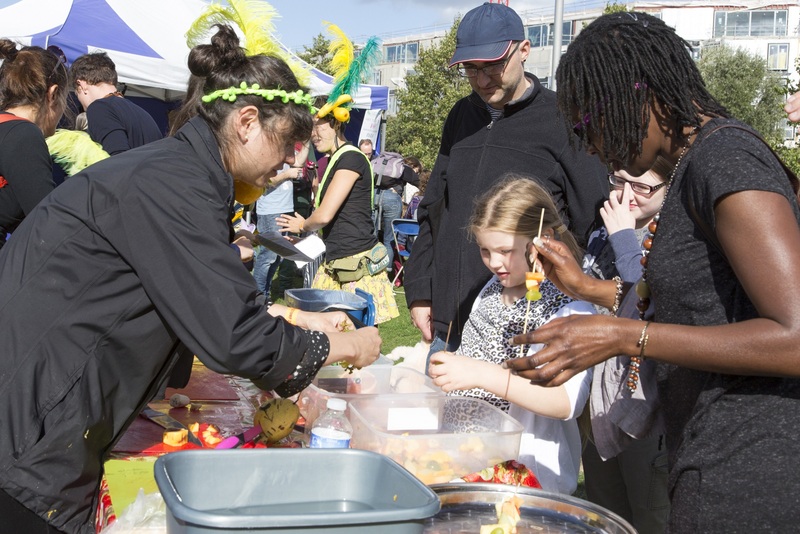 The much-loved, free community festival marked the end of Urban Food Fortnight 2016, London Food Link’s city-wide celebration of London’s vibrant local food scene. and some of east London’s best local food including grilled cheese sandwiches from The Cheese Truck, handmade gin sorbets from Sloshed, the Jamboree Tasting Table with East End Jam, and the Mason & Company bar, normally based at Here East, who showcased craft beers from Five Points Brewing Company. 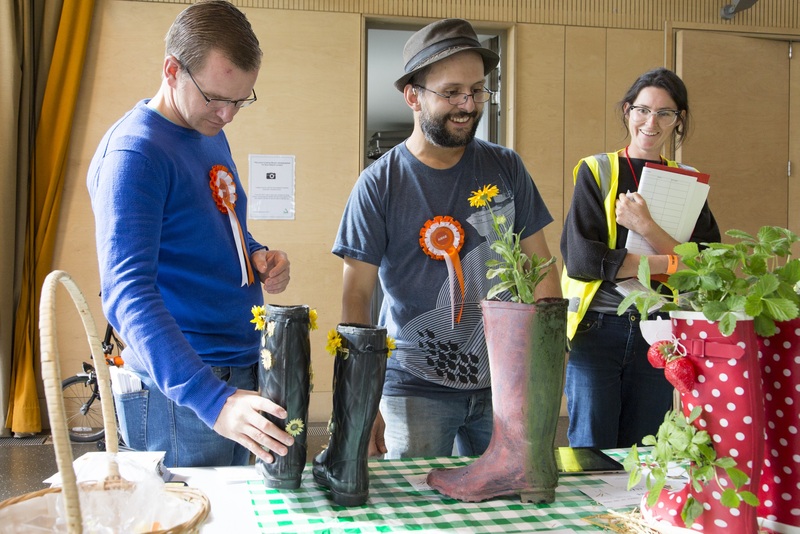 The competition for Cream of the Crop – the festival’s local food contest – was tougher than ever, with Lorraine Hourdebaigt winning Best in Show for her raspberry jam; and Harvey, a Jack Russell-Cross from Newham, scooping Best in Class for the ‘Best Dressed Harvest Festival Themed Dog’, dressed as a pea! 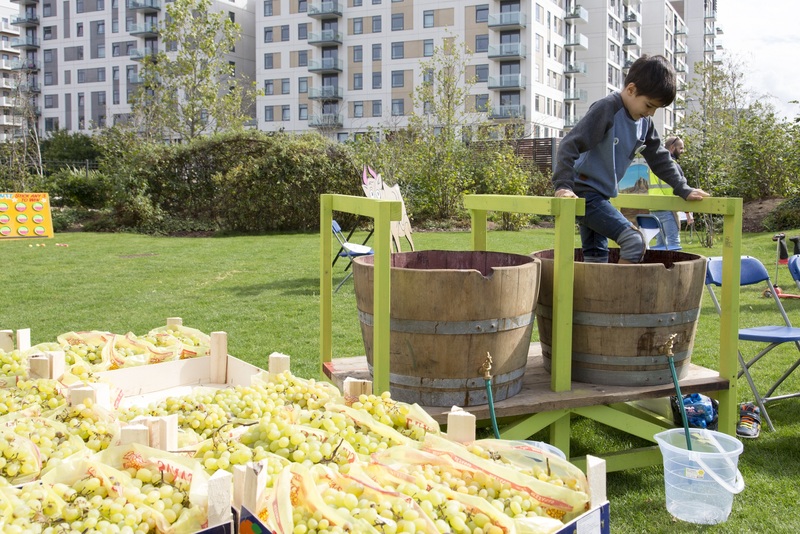 The Pea Games was once again a hit with young festival goers – particularly the Human Fruit Machine and Grape Stomping, with grapes kindly donated from Montgomery Wholesale and Abel & Cole. 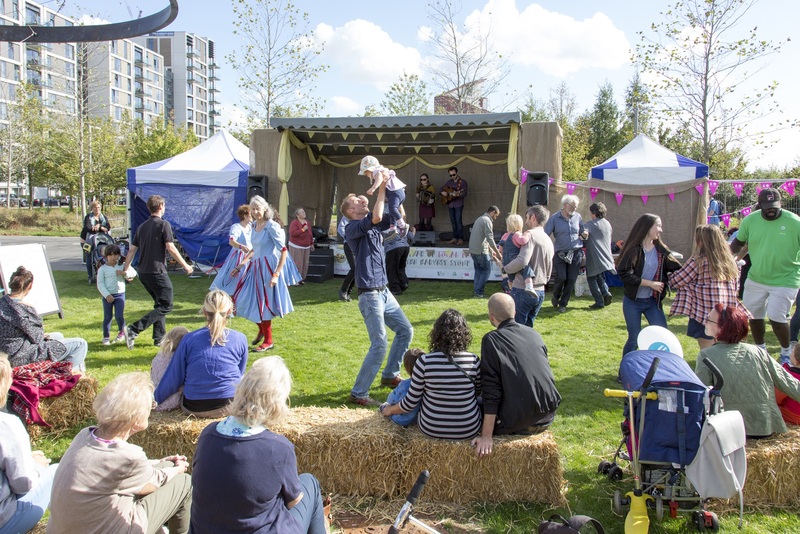 Groundwork’s Ben Coles, Director Communities & Environmental Services, said: “We’re thrilled to have been able to shine a light on local food production, sustainability, community participation, music and the arts at the Queen Elizabeth Olympic Park again this year. 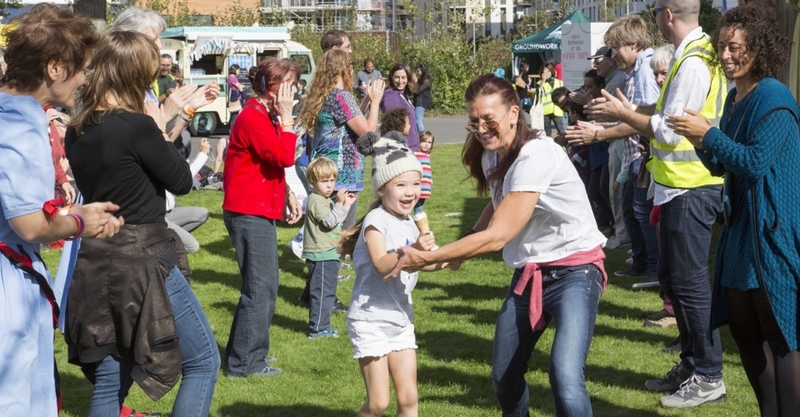 So great to see so many people enjoying everything Harvest Stomp had to offer and the feedback we’ve received has been amazing. 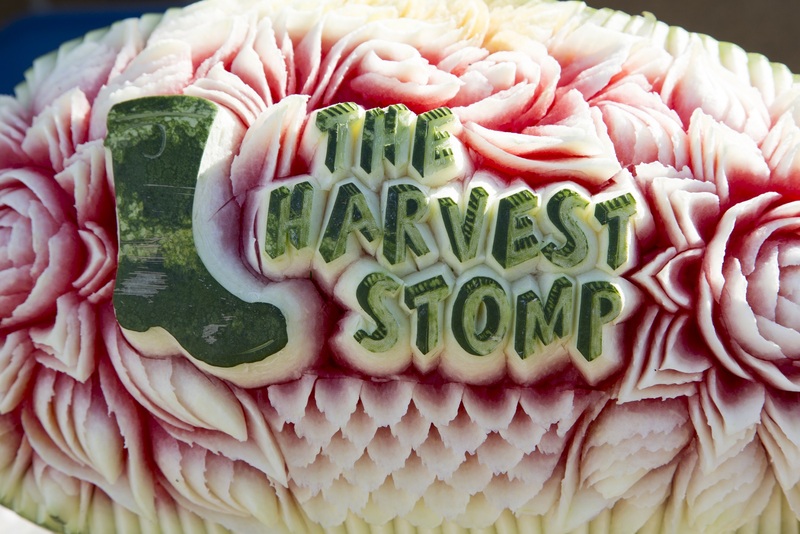 We’d like to thank everyone who helped make The Harvest Stomp 2016 possible, and hope we’ll see you all again next year”. 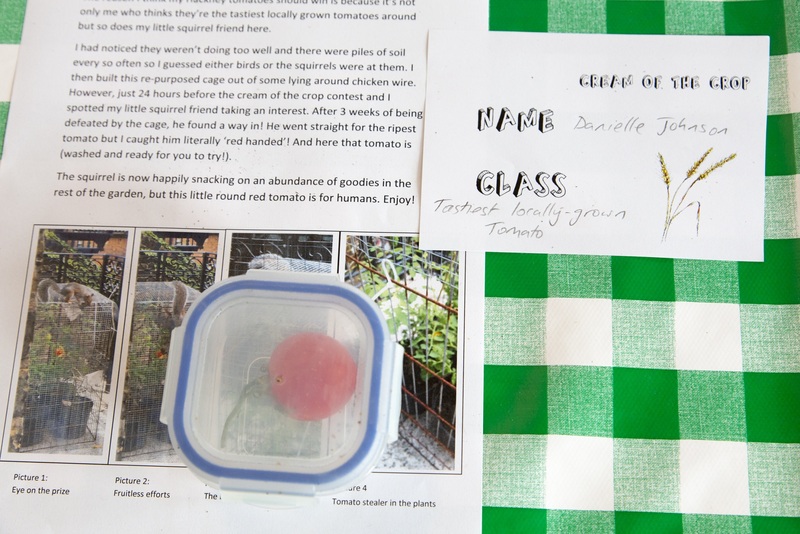 Groundwork London delivered The Harvest Stomp for LLDC, on behalf of Our Parklife CIC. With thanks to the Big Lottery Fund and our kind sponsors. 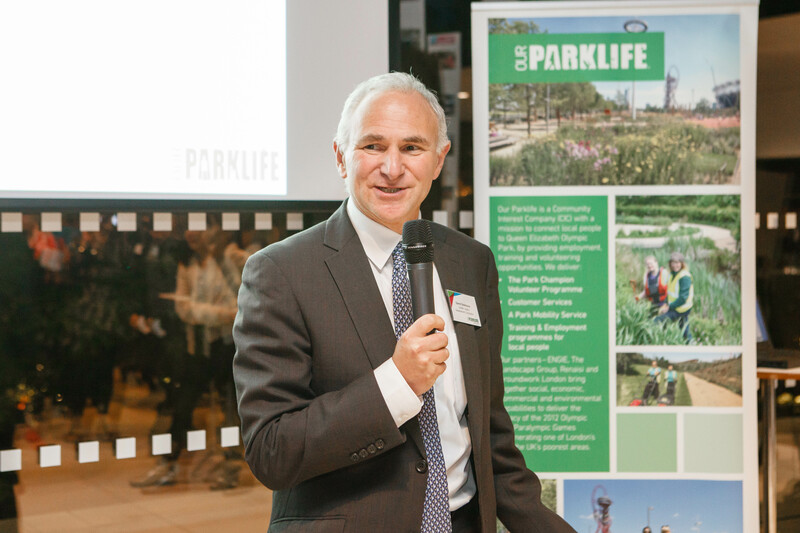 Our Parklife has embarked on a process to work towards the UK quality standard for good practice in volunteer management; ‘Investing in Volunteers’ (IiV). Investing in Volunteers (IiV) helps organisations who work with volunteers to check the quality of their management and involvement, prove and improve the effectiveness of their work and enhance the organisation’s reputation. 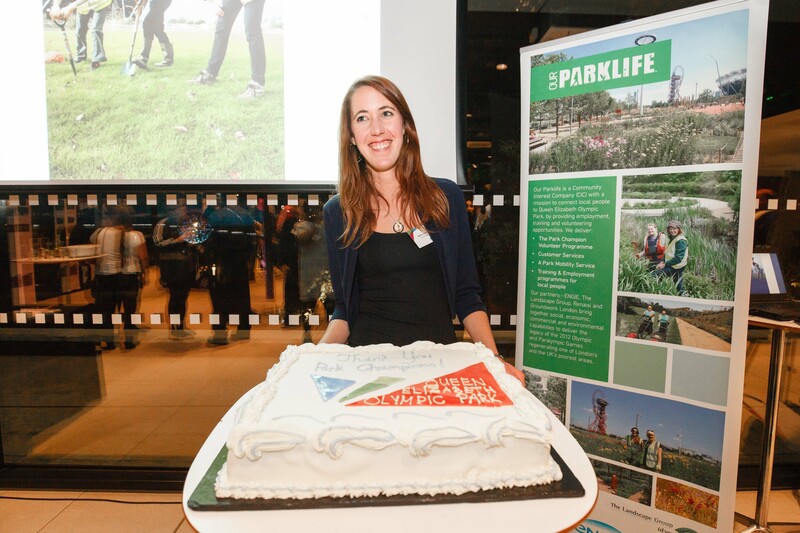 Our Parklife is committed to managing the Park’s volunteer programme to the highest standards, ensuring volunteer opportunities are rewarding, fun, and provide something for everyone. By going through the Investing in Volunteers accreditation process we can ensure we’re promoting best practice volunteering on the Park. 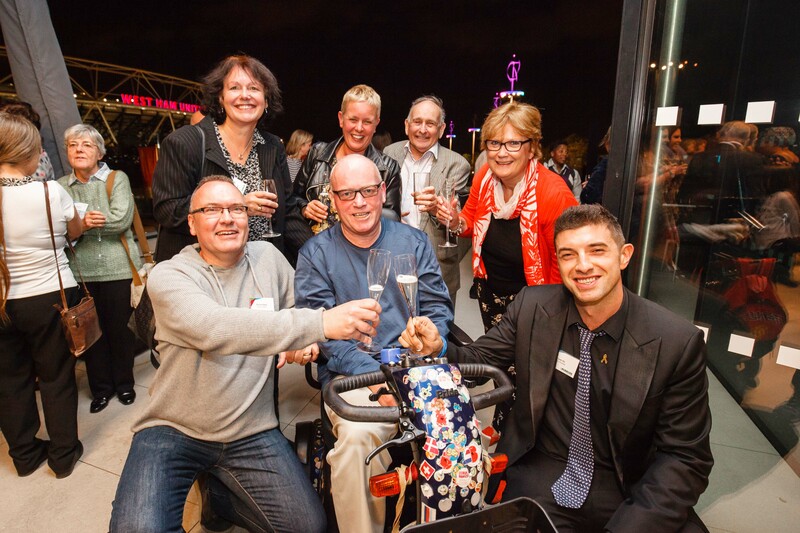 On Thursday, 6 October, we were delighted to host our annual celebration event at The Podium Bar & Kitchen. 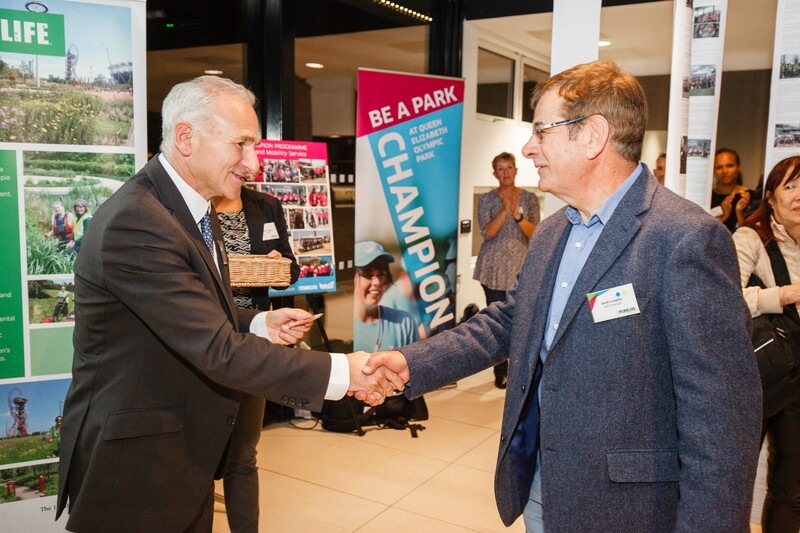 It was a fantastic evening that enabled us to say thank you to you – the volunteers who have participated in a range of activities within our Park Champion programme over the past year. Over 110 Park Champions attended and we hope all of those that attended enjoyed themselves. 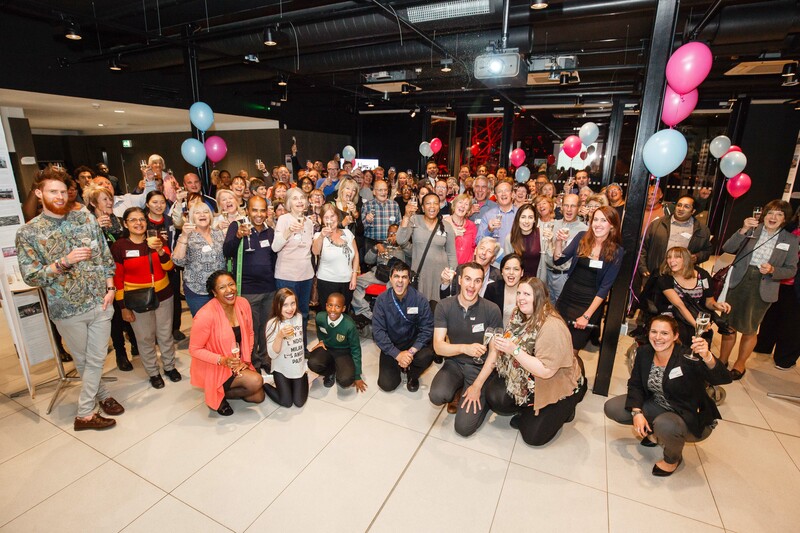 2016 has been a fantastic year with volunteers racking up a huge 12,800 volunteer hours. 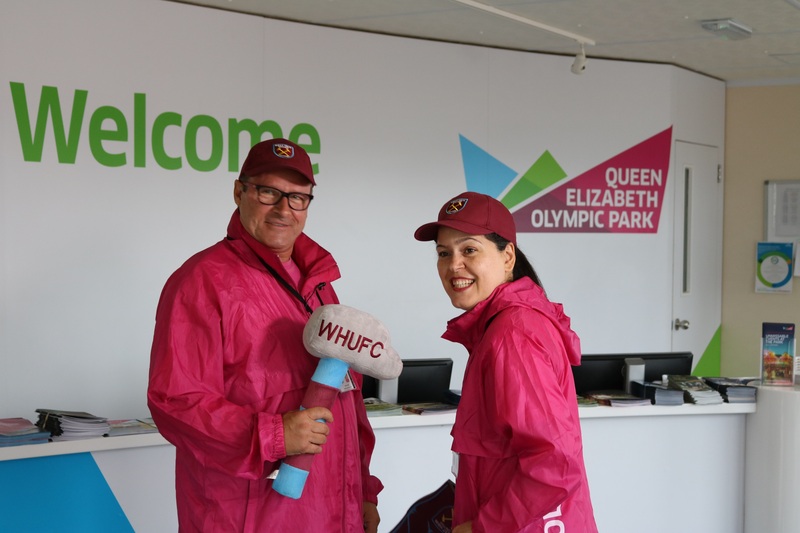 There has been an array of volunteering opportunities from providing information, welcoming guests and delivering the park mobility service at the Information Point to supporting the vast number of events including West Ham United and London Lions matches, National Paralympic Day and Sport Relief. Not forgetting those who really got their hands dirty during the conservation and gardening programme. We are now looking forward to another exciting year in 2017, with a number of major events coming up on the Park. 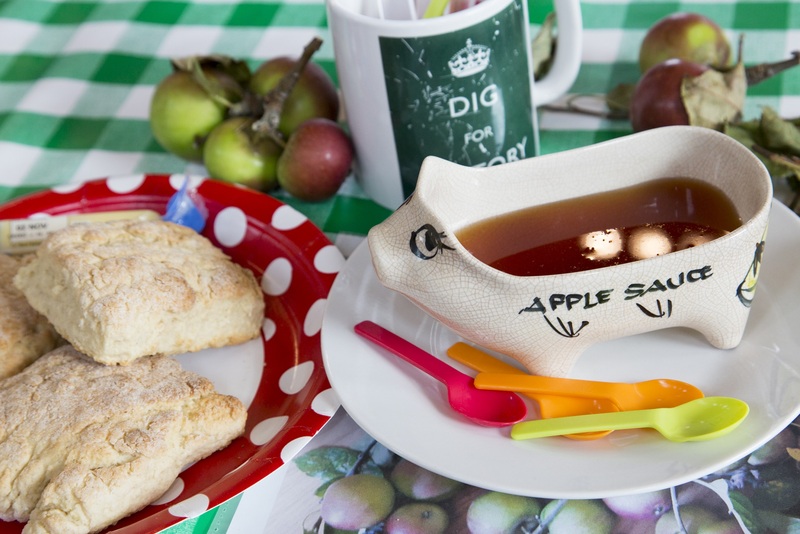 From the IAAF World Championships and World ParaAthletics Championships to community and sports events to help connect local people to the Park, there is sure to be something for everybody to get involved with. Once again we will be running our hugely successful Park mobility service and there will be many new roles to come with new Park partners so keep your eyes peeled for opportunities. 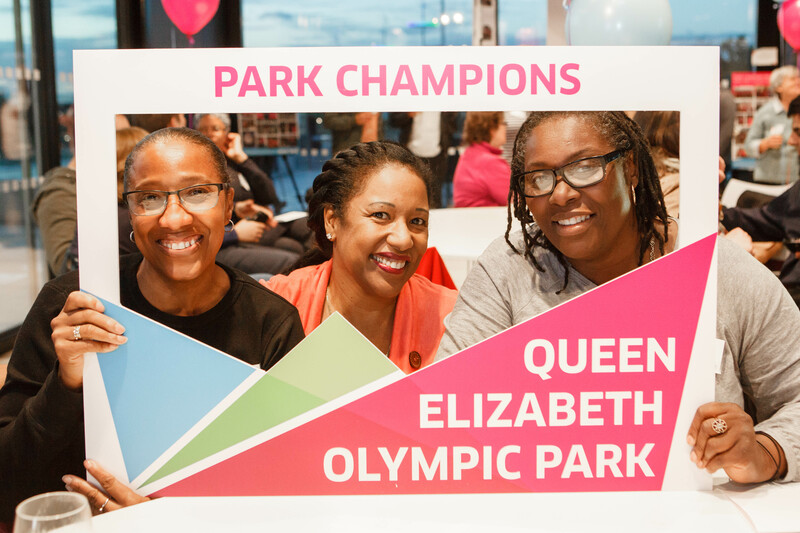 David Goldstone, Chief Executive, London Legacy Development Corporation, said: “Our brilliant Park Champions are at the heart of Queen Elizabeth Olympic Park. 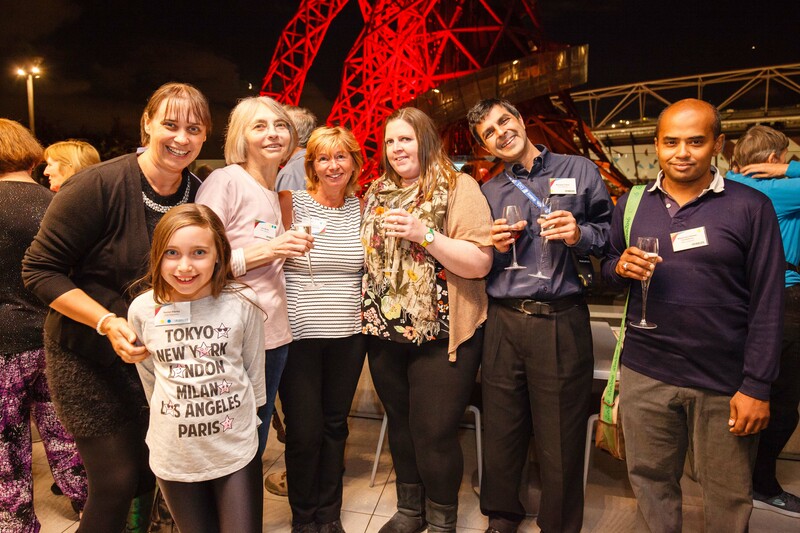 Within the last year the team clocked up more than 12,800 hours of volunteering on the Park, whether it was supporting our events, within the venues, looking after our parklands, or supporting visitors on our customer and mobility service. 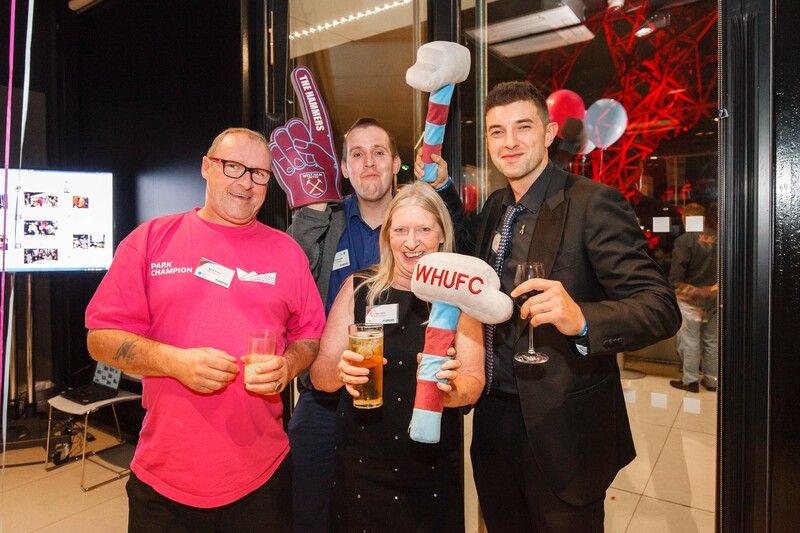 Since West Ham United’s move into London Stadium at the start of August, Park Champions have been welcoming supporters and assisting them with a variety of queries. 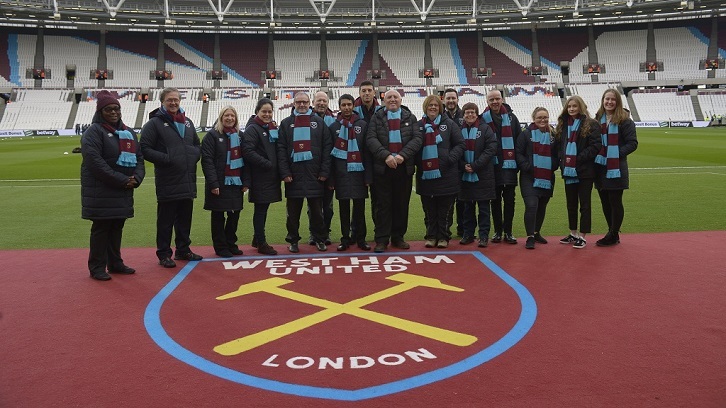 It is an exciting time for our local Park Champions and West Ham supporters to be part of the club’s move to the Park. 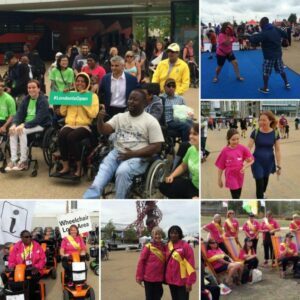 On the 3rd of September, National Paralympic Day 2016 and the Mayor of London’s Liberty Festival brought a programme of disability arts and Paralympic participatory sports to the Park. 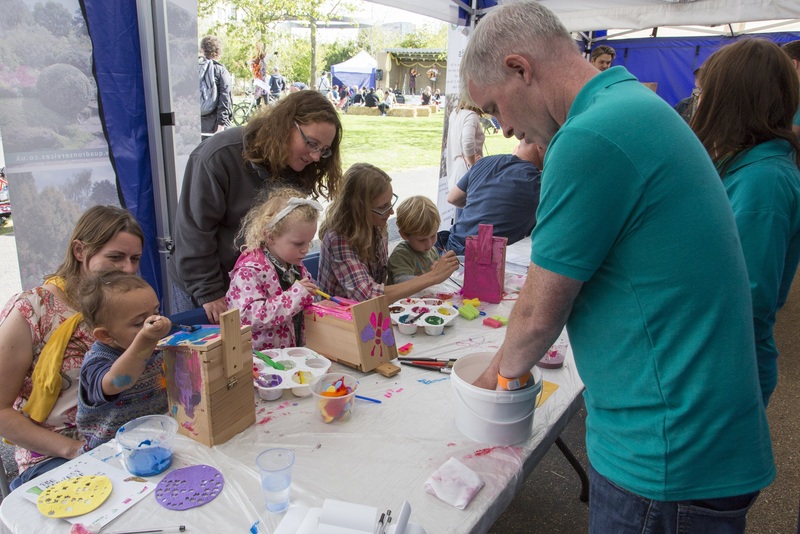 Visitors from the local community and beyond were encouraged to participate in sports activities on offer in between enjoying live performances including DJs, Circus, Dance, Storytelling, Installations and more! The Mayor of London, Sadiq Khan, also came to the Park to attend the event, enjoying the great variety of sports and arts on offer. 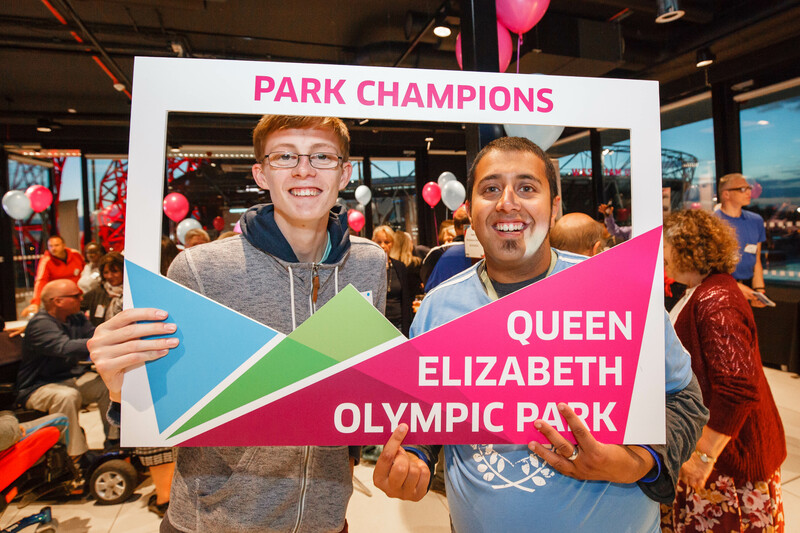 Over 35 Park Champions volunteered for National Paralympic Day and Liberty Festival this year, engaging with the public, encouraging them to participate in the activities and helping over 230 people with our dedicated mobility service. 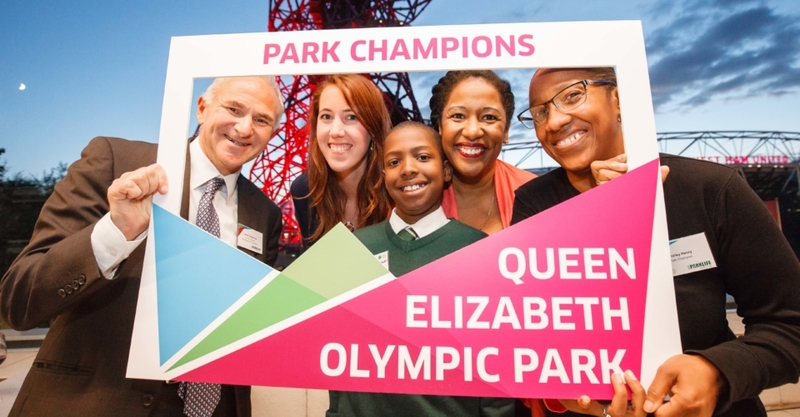 Park Champions help the mighty London Lions! 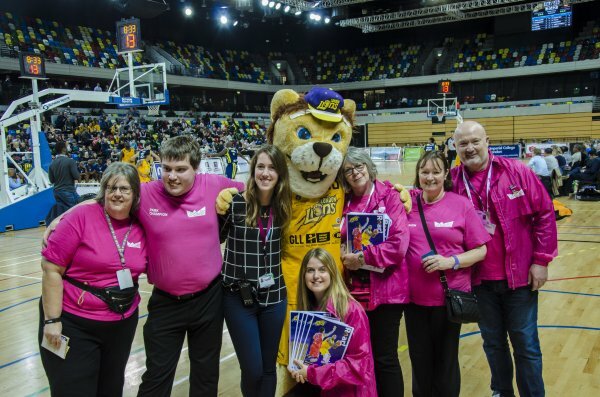 We would like to say a massive thank you to all Park Champions who participated to the London Lions games this season. 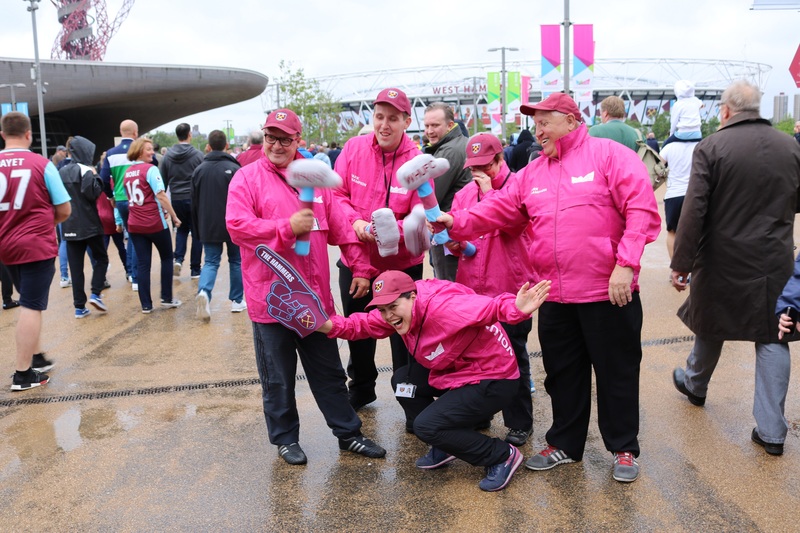 Thank you for helping guide or drive ticket holders to the Copper Box Arena, selling over a thousand 50/50 tickets and hundreds of programmes. Your enthusiasm and passion has been very much appreciated by all. Plus, a special thank you to Pauline for making the crowd do the Mexican wave at the play off game! 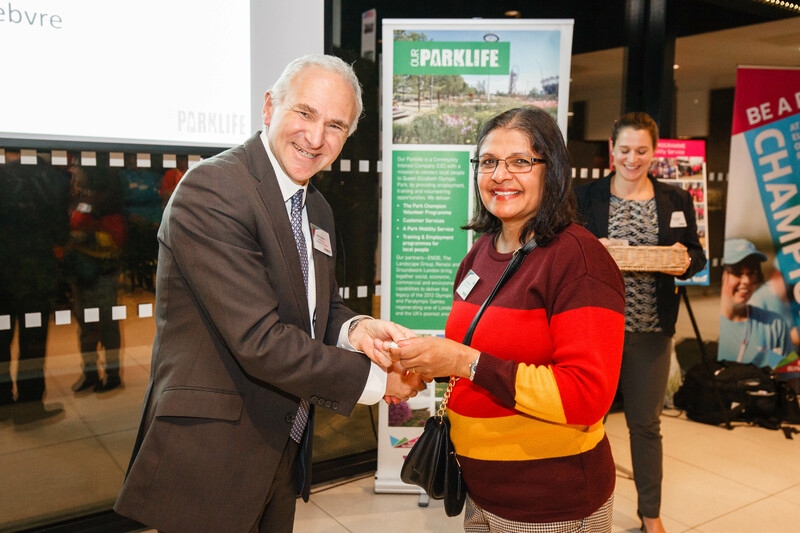 Lolly Marlbourough, Marketing director for the London Lions said: “Thank you to all Park Champions for your support and enthusiasm in welcoming customers and assisting varied crews. You’ve all been great and made such a difference. Our buggy drivers provided services for VIP visits on the Park including for the guests of HRH Princess Anne, who was visiting the ArcelorMittal Orbit to celebrate her appointment as Patron for the Foundation for FutureLondon, the charity created to help realise the potential of the Park’s Olympicopolis project. 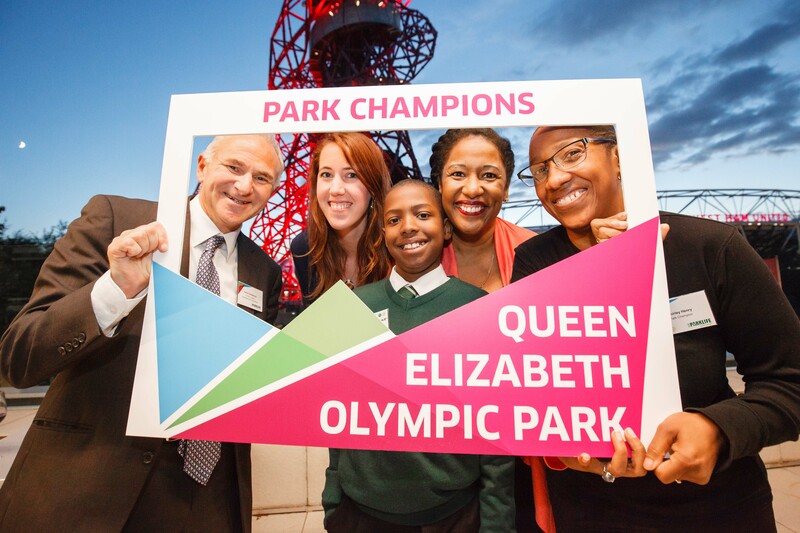 Park Champions met with HRH Princess Anne and Sir William Castell to talk about the Park Champions role and the changes they notices between the Olympic Games and the future plans of the Park.